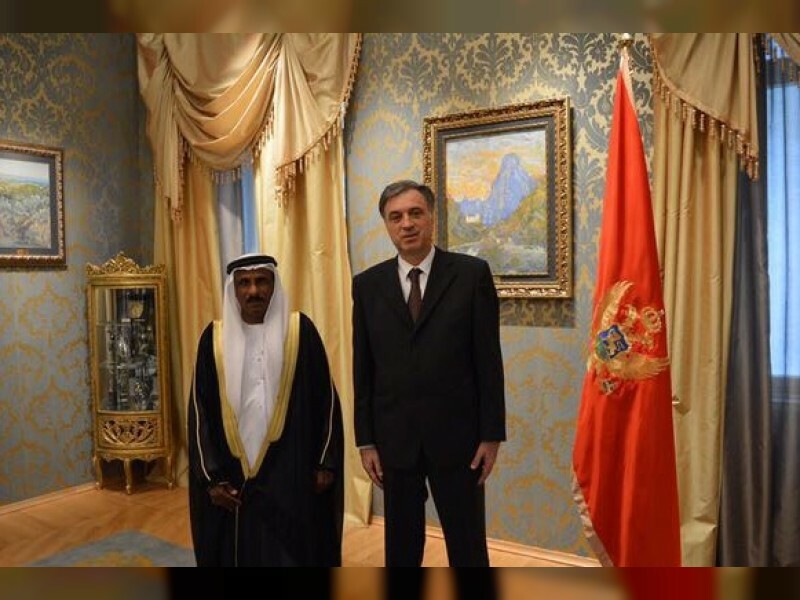 PODGORICA, 6th May, 2017 (WAM) -- President of Montenegro, Filip Vujanovic has received the credentials of Abdul Salam Hareb Al Rumaithi, UAE Ambassador to Montenegro. During the meeting, Al Rumaithi conveyed the greetings and best wishes of President His Highness Sheikh Khalifa bin Zayed Al Nahyan, Vice President and Prime Minister and Ruler of Dubai, His Highness Sheikh Mohammed bin Rashid Al Maktoum, and His Highness Sheikh Mohamed bin Zayed Al Nahyan, Crown Prince of Abu Dhabi and Deputy Supreme Commander of the UAE Armed Forces, for good health to the president and more progress and prosperity to the people of Montenegro. The envoy stressed the keenness of the UAE’s leadership to strengthen bilateral relations with Montenegro. President Vujanovic asked the ambassador to convey his regards to the UAE leaders, wishing them good health and further development, growth and prosperity to the UAE people. They also discussed bilateral relations between the two friendly countries and ways to enhance them in all fields.